NOTE: Laura is the President of CDI providing business consulting and resume writing training to professional resume writers and career coaches. She does not book appointments with job seekers. If you are a job seeker, please seek out an alternate professional to contact. She has championed the ‘career hero’ mantra by pioneering efforts in visibility, credibility, and quality within the career services industry for both job seekers and career professionals as the founder of the global professional association, Career Directors International. 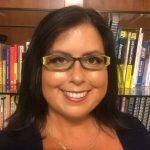 Throughout her career she has spearheaded the development of numerous training programs and presentations for job seekers and career professionals, including the most recent, Certified Professional in Online Job Search & Reputation Management. An industry leader, she has earned two degrees and 11 industry certifications and designations such as Master Career Director and Certified Master Resume Writer. She recently attained credentialing as an Infinite Possibilities Certified Trainer and is currently completing training to become a Money Breakthrough Method Certified Coach® and a Certified Money, Marketing and Soul Coach®. Further, she has received the industry’s most prestigious awards in resume writing, career coaching, and job placement. Laura is the author of Resumes for Dummies, 7th Edition (Wiley) which is due out Fall 2015, Interviewing: The Gold Standard and Interview Pocket RX as well as co-author of Job Search Bloopers (Career Press); she has also been featured in over 15 resume and cover letter compendiums. As a resume writer, career coach, and career director for her former private-practice, A Competitive Edge Career Service, LLC, Laura held the role of national//international resume expert for 54 professional associations such as PMI, AMA, AJST, ASAE, ASME, AVMA, and ASCE. She has been a guest columnist on career issues for The Florida Today newspaper and been quoted in publications such as Forbes (IMPRESS), US News & World Report, Monster.com, SmartMoney.com, Working Mother, the Wall Street Journal, and NBC 7/39 News in San Diego. Recognized with some of the highest credentials in the industry for resume writing, career coaching, career transition and career management. Former CDI Vice President of Awards & Presentations responsible for spearheading the development of resume standards and to direct the international Toast of the Resume Industry (TORI) competition. Former CDI Vice President of Public Relations. CDI Master Resume Writer Lifetime Achievement Award. CDI Master Career Professional Lifetime Achievement Award. PARW “Most Visually Distinctive Resume,” 1st Place National Conference Award. CDI “Best Resume Format,” 1st Place Annual Award. CDI “Most Creative Resume,” 1st Place Annual Award. CDI “Best Resume Content,” 2nd Place Annual Award. CDI “Best Functional Resume,” 2nd Place Annual Award. Herzing College/Herzing University 13 Annual “Employment Recognition Awards for Top Job Placement Levels”. Program: Certified Web Portfolio Practitioner program – for CDI, Power Talent Network, Inc., and CECC curriculum for eCareer Learn. Contributor of resumes and cover letters to J.I.S.T. Works and Impact Publications. Interviewed and quoted in, “Tailoring Your Resume” by Chris Warren for IMPRESS a FORBES special interest publication. Interviewed and quoted in more than 50 newspaper and on-line articles.